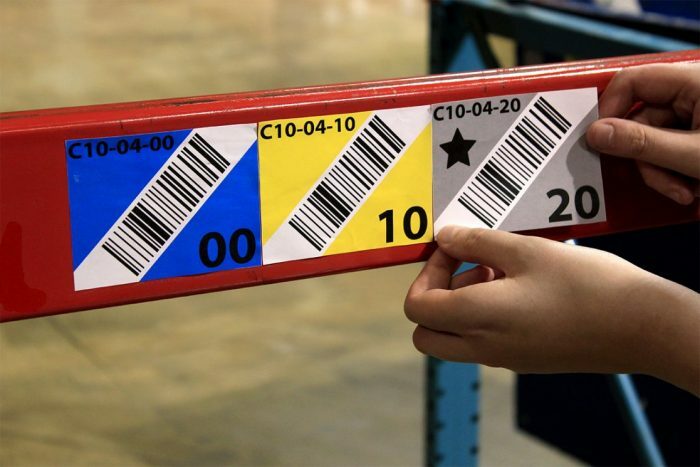 Huzzard Systems combines a thorough understanding of warehouse operations, barcode scanning and label production to help you install a warehouse labeling and signage solution tailored for your specific needs. We realize that every installation is a unique project. Variables include the facility, available staff, Go Live Date, and budget. Huzzard Systems is easy to do business with and we will help you get it right. Don’t let something as simple as poor signage and labeling stand in the way of achieving excellence for your warehouse. We begin with an analysis of your facility’s needs and requirements developing a customized solution to maximize productivity without disrupting your existing workflow. From refreshing your warehouse signs and labels to developing complex, innovative solutions, our warehouse team has the design and production expertise to handle all of your warehouse concerns. Our team will work alongside you to ensure that all of your specifications are met. We will provide strategies and ideas throughout the entire process. 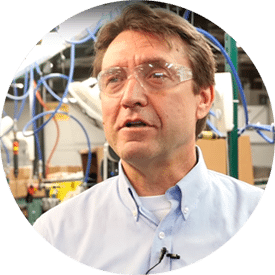 Bring us your challenges and let us guide you through the label and sign installation process. 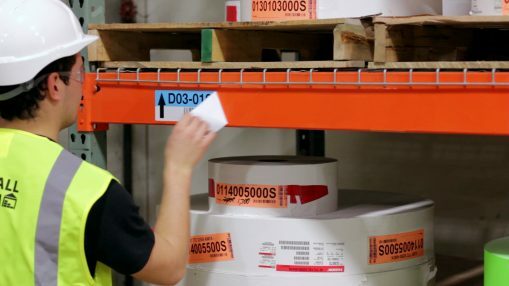 As part of the implementation process, the warehouse technical team works with your warehouse labeling location file to ensure it is properly prepared for label production. Some clients will provide us with complete data file of labels required, while others will need assistance creating a location file based on a rack drawing. 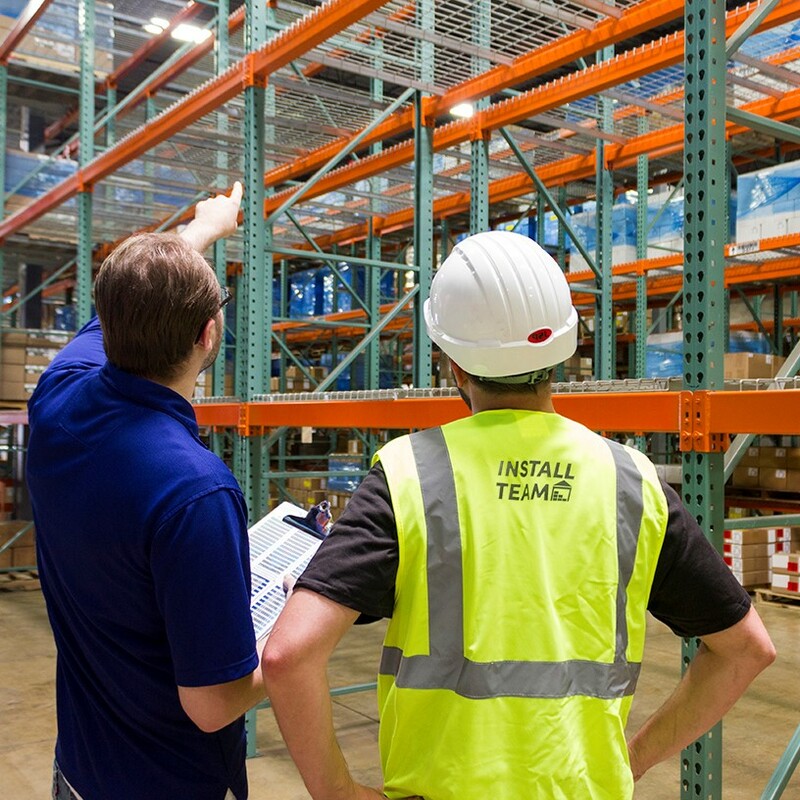 Our seasoned install team will help you develop the optimal layout solution for your warehouse. Our Site Management services provides you a great option for delivering a complete sign and label installation. Huzzard Systems supplies an on-site manager for the label installation to serve as your point person; managing the process from beginning to end. You will also receive a complete set of services from our seasoned team of professional installers including all materials, labor and equipment necessary for your project. Whether your beams have seen a lot of use or are brand new, CleanBeam will keep them looking fresh for years to come. Just apply CleanBeam over any existing labels and damaged beams to cover them completely and protect against future wear. Reap long-term rewards from this one-time investment. Once CleanBeam is permanently installed on your racking, simply apply your location labels on top of the CleanBeam material. Now, when you need to move stock or update a product, you can easily remove the location label quickly and completely, without leaving any residue. CleanBeam will let you say goodbye to expensive magnets and the hassle of scraping old labels, saving you time and money! Rack Location Labels are the backbone of an efficient and organized warehouse. While several templates exists in terms of communicating most effectively “what is where,” Huzzard will guide you through the process and share best practice design features. 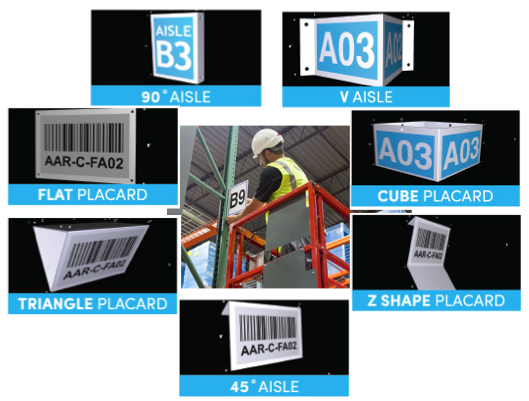 From defining Aisle, Level, Bay, Zone, we will make sure the label material is a match for your warehouse environment. We will also test barcode readability with the scanners you currently use, and, make sure that the data being collected is in a format compatible with your ERP or warehouse program. 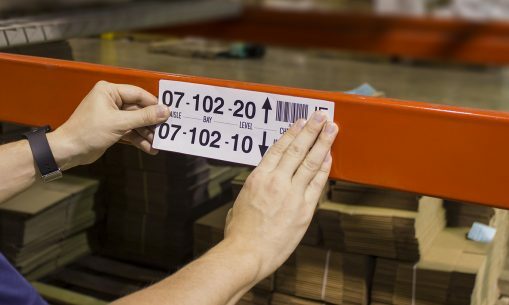 Huzzard’s custom warehouse signage solutions provide a consistent look to streamline aisle identification and ensure efficient location of products. With custom warehouse signs and placards, you’ll minimize the little mistakes and delays that add up to big frustrations. Popular sign and placard types include: 45 degree Aisle, 90 degree Aisle, V Aisle, Cube Placard, Flat Placard, Triangle Placard, and Z Shape Placard. Scan warehouse barcode labels from 30 feet plus! 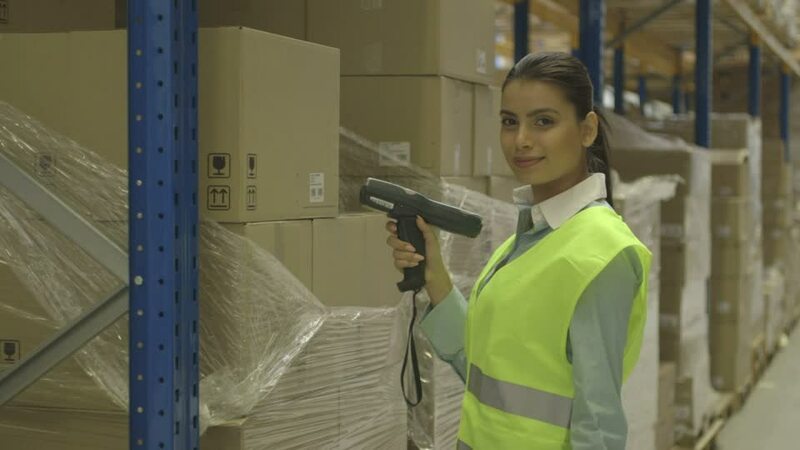 With the right combination of scan engine, label facestock, barcode mil size (and aim), you can capture data from barcode labels at a distance of 30 feet plus.